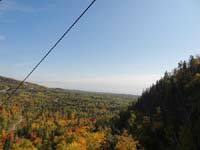 Superior Trails: Scenic Travel on the Lake Superior Circle Tour. Your Travel Guide to interesting places to see and things to do . . . including Scenic Drives, Hiking, Waterfalls, Camping, Campgrounds, State & National Parks, wilderness Areas and other recreational attractions. Siskiwit Bay - Cornucopia near Bayfield, Wisconsin. 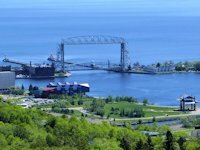 Events & Music Festivals at Duluth's Bayfront Park (see calendar of Duluth events). Lake Superior Travel Events and Scenic Drives. We're glad you dropped in. 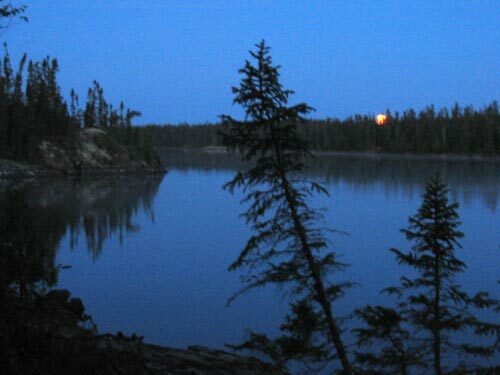 SuperiorTrails is #1 website for scenic travel and outdoor recreation around Lake Superior. 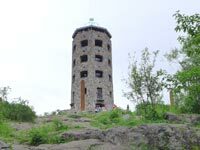 Our guide covers the travel regions (three states and one Canadian province) around Lake Superior encompassed by the Lake Superior Circle Tour. The Snow is melting, spring is breaking out; time to plan your summer vacation around the Big Lake. 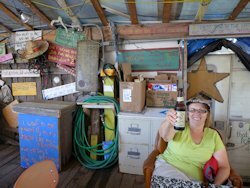 Tom's Burned Down Cafe on Madeline Island. Here we share with you our travel notes and pictures on exploring, hiking, canoe tripping, waterfall discovery, camping and winter recreation along Lake Superior's Scenic Roads & Byways. We cover cities, quaint seaside villages, and scenic and recreational attractions along the Minnesota North Shore, Ontario's North and East Shore, and the South Lake Superior Shore of the Michigan Upper Peninsula, and Wisconsin. was voted #2 best US State Park by USAToday-10Best readers. 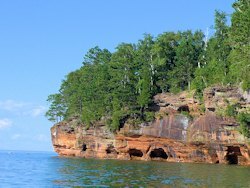 Visiting historic Madeline Island & Apostle Islands National Park. 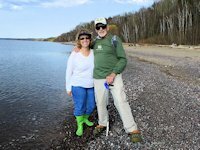 Spring Lake Superior Agate Hunting - see our successes! Do you enjoy hiking? One favorite of those who drive the Circle Tour is Duluth, Minnesota and its Canal Park Lakefront. 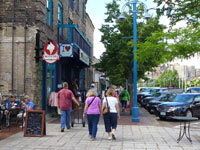 Duluth's Lakewalk trail is a favorite of hikers, walkers, and bikers. 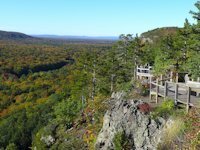 Traveling north of Duluth along the Minnesota North Shore offers one of the nations top hiking trails, the Superior Hiking Trail. 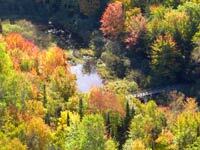 Over in Michigan's Upper Peninsula is another top rated hiking trail system: Porcupine Mountains Park. 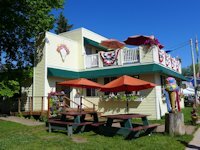 Wisconsin's Bayfield Peninsula is home to the Apostle Islands Lakeshore Park and Madeline Island, with its historic village of LaPointe, is another popular destination. Get some healthful exercise walking around this historic town or drive out to Big Bay State Park for their network of hiking trails. Travel in Canada. The Ontario portion of the Lake Superior travel route takes you through the remnants of a mountain range that once were higher than the Rockies, but still offer dramatic views of Lake Superior. 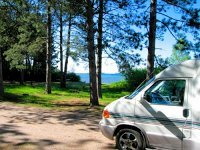 Ontario Provincial Parks offer modern campgrounds with some great hiking trails, impressive waterfalls, and picturesque scenery. Whether you take the whole Circle Tour route or just visit a particular region around Lake Superior, we think you'll enjoy the experience. See our Superior Travel & Events page of upcoming events and more ideas of interesting things to see and do while traveling around Lake Superior. The regular pages of Superior Trails profile the regions around the lake in more depth, including lots of pictures to better appreciate what each area has to offer. 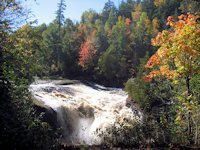 Simply click on the Minnesota, Wisconsin, Michigan UP, or Ontario links in the left hand column for a detailed directory to that regions attractions. 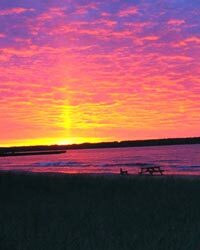 A second part of web site is our Lake Superior Travel & Trip Planner. It is essentially a condensced version of the regular site that includes maps, mileage data, and some of our recommended stops and highlights around the lake. Should rising gas prices $$ impact that Lake Superior Vacation? 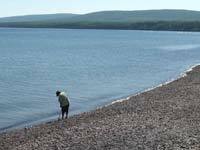 See some interesting facts on actual gas costs of a Lake Superior Vacation. Traveling the Lake Superior Circle Route by Motorcycle. While these pages and our Travel Planner are suitable for all means of motor travel, those planning a motorcycle tour can use our Travel Planner & our Website to identify desireable stops and stays and then enter them in the the "Plan My Ride" map service at Ride Lake Superior website to generate your customized map. 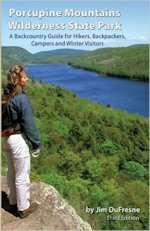 Directory to our pages on camping, hiking trails and public campgrounds found while touring around Lake Superior, organized by state and province. Enjoy rock collecting or rock hunting? 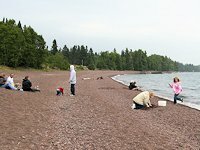 Lake Superior offers a number of agate beaches with both Lake Superior Agates and numerous other beach stones that can be polished into gemstones. - - - Is this a Lake Superior Agate? Learn how to tell the difference between agates and other attractive beach stones, including identifying agate-wanna bees . . . beach rocks that look like agates. Had a great time at this event - see our pictures, story, and a video. Special care is needed to ensure you don't fracture your prized Lake Superior Agate. 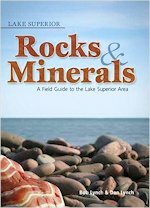 A new series with pictures and maps to our favorite agate hunting and rock hound beaches around Lake Superior. Maps, pictures, trip reports from our canoe excursions into Wabakimi Park, Ontario's largest and most remote wilderness canoeing and fly-in fishing park. Got particular Lake Superior Circle Route Question? 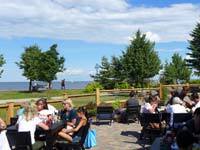 Enjoying lake breezes and views at the Duluth Canal Park Brewery Beer Garden - Canal Park. 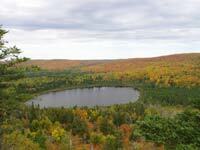 Fall Color Hikes along Minnesota's North Shore Scenic Drive.